Iconic rapper, Chuck D, is the leader of the ground-breaking Hip Hop group Public Enemy, who was inducted into the Rock and Roll Hall of Fame in 2013. Chuck D helped pave the way for political, social, and culturally conscious Hip Hop. Also, when it comes to the genre, albums such as, It Takes a Nation of Millions to Hold Us Back and Fear of a Black Planet are some of the most critically acclaimed works from the group. 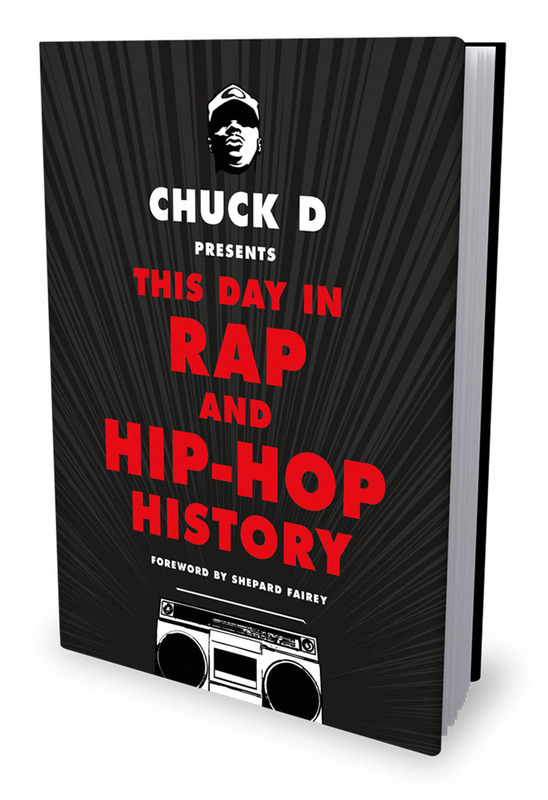 I had the honor to interview the teacher himself, Chuck D, who recently released his new book “This Day In Rap and Hip-Hop History.” Here is what the legend had to share with the readers. Aaron: What inspired you to chronicle the history of Hip Hop in your new book “This Day In Rap And Hip-Hop History”? Chuck D: Well, the inspiration came from knowing that this art form that has been around for 40 years has been distributed improperly. I got kind of disappointed with the amount of urban legends out there that people are guessing about. Here are some facts when they talk about great rappers and what Hip Hop is. On my radio show, I had two of the guys that are authors of the book. They use to do a radio segment. I said, “Well, this should be a part of something that benefits a lot of people in text form”. Aaron: What do you want the readers to walk away with after reading your book? Chuck D: That Hip Hop and rap music is seriously an art form. Aaron: What has been your expectations for the outcome of your book “This Day In Rap And Hip-Hop History”? Chuck D: Not only would it be a book in households for people who love rap music and Hip Hop like jazz, but treat it like a higher art form. Ultimately, their school systems and libraries will consider it as an important book as well. Aaron: This is a book mainly catered toward Hip Hop fans. How will the Hip Hop community benefit from your book? Aaron: Does your book touch up on the evolution of Hip Hop 5, 10 or 15 years from now? Chuck D: I think if you read the beginning of the book, earlier on, you know that there’s a line of that ‘anything can happen’ in the music. It can go in any direction. You’ll know that there are new things that are really not new. They come up somewhere from before and you’ll be able to draw that line a little better. Aaron: If you wrote a short letter to Hip Hop, what would you say to her? Chuck D: You don’t have to stay a kid all your life. You can also be young when you want and also be older and wise when you want to be. Don’t be afraid to be older and wise. Aaron: Are there any current artists today that Chuck D is inspired by? Chuck D: Yea, there are plenty of them. There are a lot of those that are in the book. I like how Rick Ross rhymes. I like his voice. I like the fact that there’s a Royce da 5’9.” I like the fact that Logic rhymes. There’s a bunch of them. It’s about the art formula. Aaron: Do you feel as though today’s rappers have lost their sense of accountability for their actions and messages in their music? Chuck D: I think rappers always need an older person that guides them through their art form and craft. Coaches are needed too. Aaron: Do you have any advice for young black misguided youth? 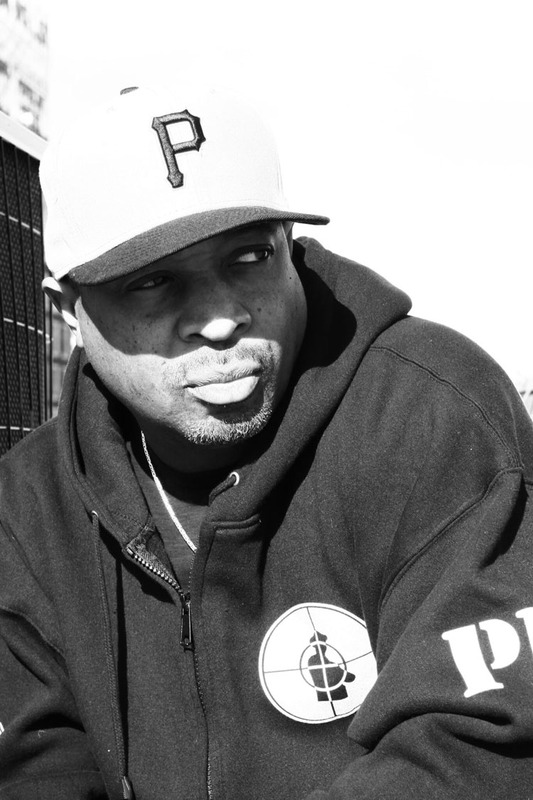 Chuck D: It’s no excuse to dumb yourself down or young yourself down in this society. Know that wisdom and understanding do not come quick, but live your young life and enjoy it. Having an older life is enjoyable too, but take your time. Aaron: Regarding Public Enemy, will there be a biopic, film or movie in the near future that fans can look forward to? Chuck D: I don’t know, that depends on the right time, the right feel, or whatever. Public Enemy has seven documentaries and we have several books. Aaron: I interviewed Flavor Flav several years ago. How is your relationship? Chuck D: On the go and good! He’s like the person that’s second from my number one. You have to know that you have a lot of people to be accountable and responsible for. I don’t look away from doing that. That makes the observation better with mental standpoints. Aaron: Do you have any advice for those young artists or artists who are trying to break into the music industry? Chuck D: Yea. Do it because you love it. Don’t do it for a result of it. Aaron: Chuck, before we end the interview, would you like to add anything else regarding your book? Chuck D: Any systems of schools, when they look at the book, they will be able to have a platform - just on the book alone. The book pulls out the best of the art form and leaves all of the drama to the side. Aaron: Thank you Chuck for being an inspiration to my life and thanks for the interview too! Chuck D: Thank you Aaron, I appreciate you!